Be aware, RES is about to unleash WM2012! RES software flagship is Workspace Manager, the successor of PowerFuse. Since 2010 RES releases a new version each year, in may 2012 RES Workspace Manager 2012 will be unleashed to the public. At the RES PartnerFocus 2012 (on 16th February at the Verkade fabriek) VP Product Management Bob Dekousemaker showed us the new features of RES WM2012. Scaling of Workspace Manager was always a bit tricky, especially if you have geographic dispersed sites. Since PowerFuse 8 the configuration and metadata was stored in a Microsoft SQL server. If you would need the configuration on different sites all you needed to configure was a SQL database replication. But this has some side effects and adds complexity. Introducing the Relay Server. The Relay Server is a separate component that will cache all configuration data before it’s sent to the SQL database (allowing that SQL database to be temporary offline). Both clients and the management console will communicate with the Relay Server. 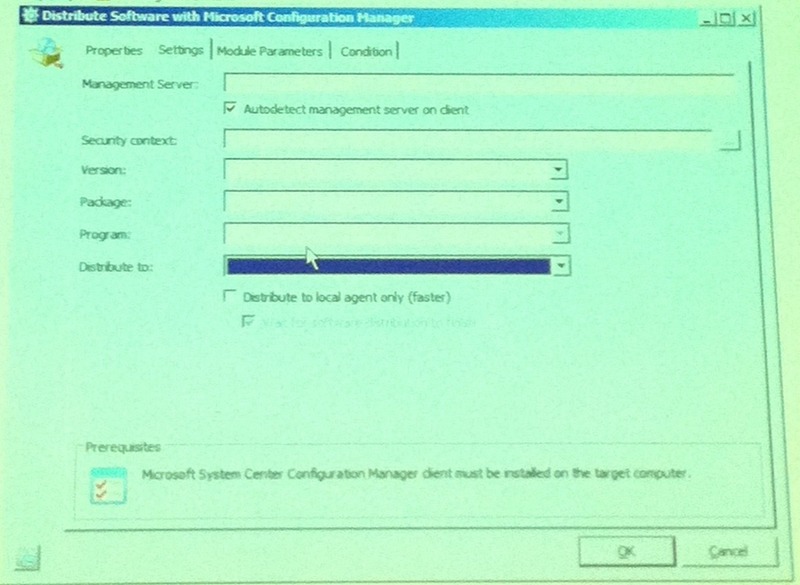 Configuration of which Relay Server to use can be done globally, per workspace of individually per agent. Since the beginning of RES Workspace Manager (PowerFuse, PowerMenu, etc.) shortcuts where managed using the pwrlaunch executable. Each managed application has an ID that was used as an argument for the launcher. This allowed processes that where not launched using pwrlaunch to bypass some of the configuration. Although this was circumvented by configuring file type associations and configuring security, there’s a better way. From WM2012 a new filter driver allows you to intercept processes before they are launched, apply the configuration and security, and continue operation. With this new feature it is much easier to migrate an environment to RES Workspace Manager, you can gradually enable more features (and apply configuration to applications) without replacing any shortcut. This has a lot of potential and I’m really excited about this feature. But using filter driver has a side effect, it requires additional IOPS. What the impact exactly will be is yet to be determined. By default this option is disabled and can be enabled per application. Expect this feature to be enabled by default in the next release. There will be an integration with System Center Configuration Manager (SCCM) to allow customer with SCCM to optimize there environment with RES software. With the integration of SCCM you’re able to trigger SCCM packages to users based on there context (user, location, time, etc.) instead of just the device. And if that isn’t enough (the best has yet to come) there’s a possibility to distribute the package to local agents. When this option is used the SCCM package is installed instant. Configuring the SCCM configuration is done in the (new) setup module. Packages are add in the composition module or per application. If you’re already using SCCM Distribution Points on different sites I would recommend to add a Relay Server (for database connectivity of clients and management console) on these servers. Getting usage or configuration data from the SQL database of RES Workspace Manager was always cumbersome (if not impossible). With the introduction of the Reporting Server, a separate component, this will change dramatically. With this new Reporting Server third parties are able to retrieve data using API’s and track usage or configuration data. In environments where I don’t have the chance to work with a UEM product like RES Workspace Manager (and therefore am required to use Group Policy Objects to manage the UE) I’m using the Results Set Of Policy (RSOP.msc) to determine the effect / impact of a change. From now on you can do the same in Workspace Manager using the Scenario Wizard. The Scenario Wizard can predict the impact of a change for a user in a preset context, which prevents trial-and-error. There are multiple improvements for the management console. Most of them sound are very basic but are on the wish-list for many people for a long (LONG) time. 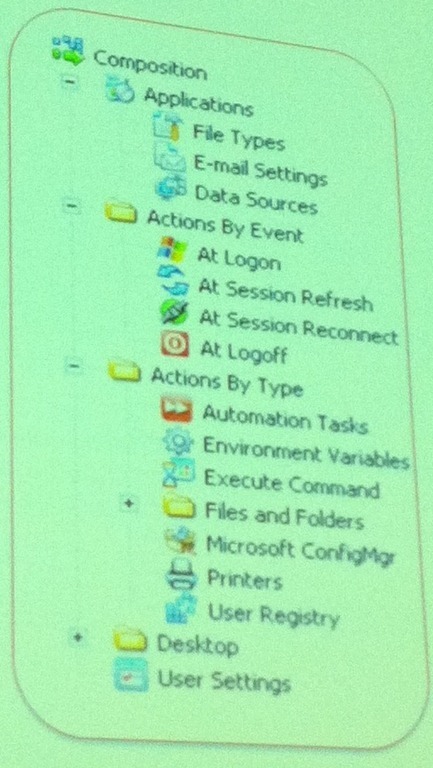 Event View : Shows the actions by event (At Logon, At Session Refresh, At Session Reconnect, At Logoff). Not only does this give you a good overview of which actions are applied, also in the order they are executed. As a bonus you’re not required to think object-oriented, which I think will help RES to gain more momentum in the USA. Setup : The configuration tasks there are not used daily are now accessible via a menu. User settings are by default stored in the home drive of the the user, which is not available when the user is offline (laptops). 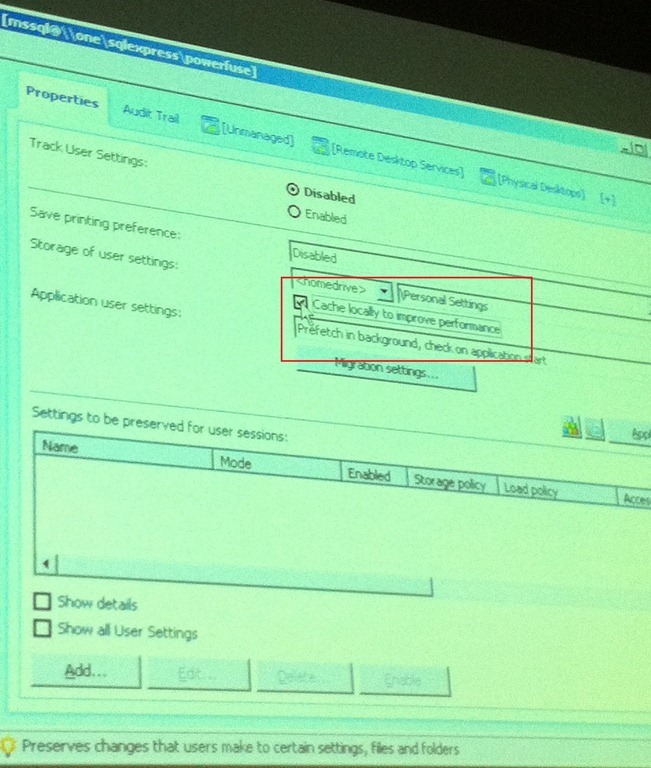 To circumvent problems with users settings offline folders and synchronization was used. 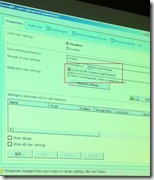 In WM2012 it is possible to cache the user settings locally. A new service will synchronize the user settings in the background. All read and write operations are handled by the synchronization service. Last year RES introduced a new licensing mechanism with three editions (bronze, silver and gold) and three modules (composition & personalization [a], advanced administration [b] and security and performance [c]). With bronze you where eligible for [a], silver [a]+[b] and gold [a]+[b]+[c]. Starting from Workspace Manager 2012 you are eligible for 1 (bronze), 2 (silver) or 3 (gold) modules. In the silver and gold edition you can pick the modules you want to add to [a] (which is mandatory for the bronze edition). The general availability of RES Workspace Manager 2012 is may 2012. If you can’t wait for the GA contact RES software. At this moment interim release 3 is released, interim release 4 will be released in march and the release candidate in april. I’m looking forward on working with RES Workspace Manager 2012. There was an exhilarating atmosphere during the event, after reading this post you know why.